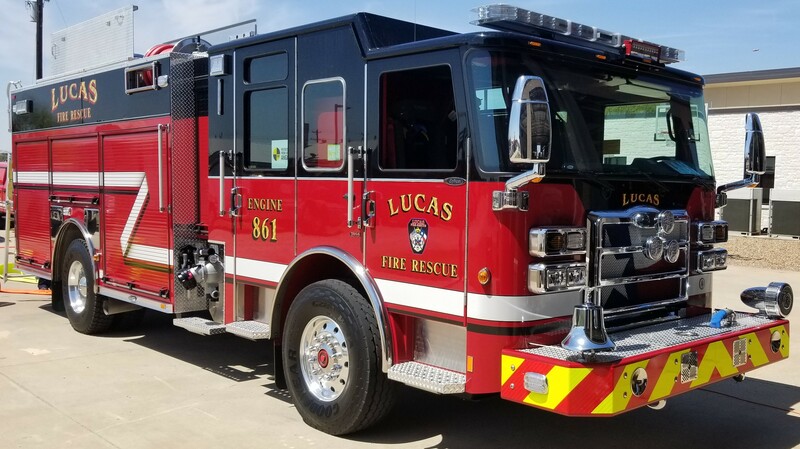 On March 29, 2019, the new fire engine was delivered to the Fire Station and there will be two public ceremonies to celebrate the new engine. On Thursday, April 18 at 5:30 pm, there will be a small push-in ceremony for the new engine. Fire Chief Ted Stephens will give a brief speech before the new engine is officially pushed in and active for service. At the Founders Day celebration on Saturday, May 11 at Noon, the new engine will be in the Founders Day parade. Following the parade, there will be a large public ceremony for the wet-down ritual of the new engine. The City Council will spray water on the new engine and the public can participate by wiping the new engine. The new engine will be on display at Founders Day for viewing and pictures.